Unless you’ve been hiding under a rock for the last 9 months, you will have seen the word ‘hygge’ floating around all sorts of social media platforms, books and television. The word itself is Danish, it roughly translates into ‘coziness for the soul’. The term has become so popular that Oxford Dictionary shortlisted hygge as one of their words of the year for 2016. If you’ve read ‘The Little Book of Hygge: The Danish Way to Live Well’ by Meik Wiking you’ll come to realise that lighting candles is a huge part of hygge. Danish people are the world’s largest consumers of candles and it is thought to be as a result of the national hygge movement. Regardless of whether you’re embracing hygge or not, I would like to think that majority of people love to light candles in the Autumn / Winter time, they give off a certain atmosphere, a coziness, a warmth. 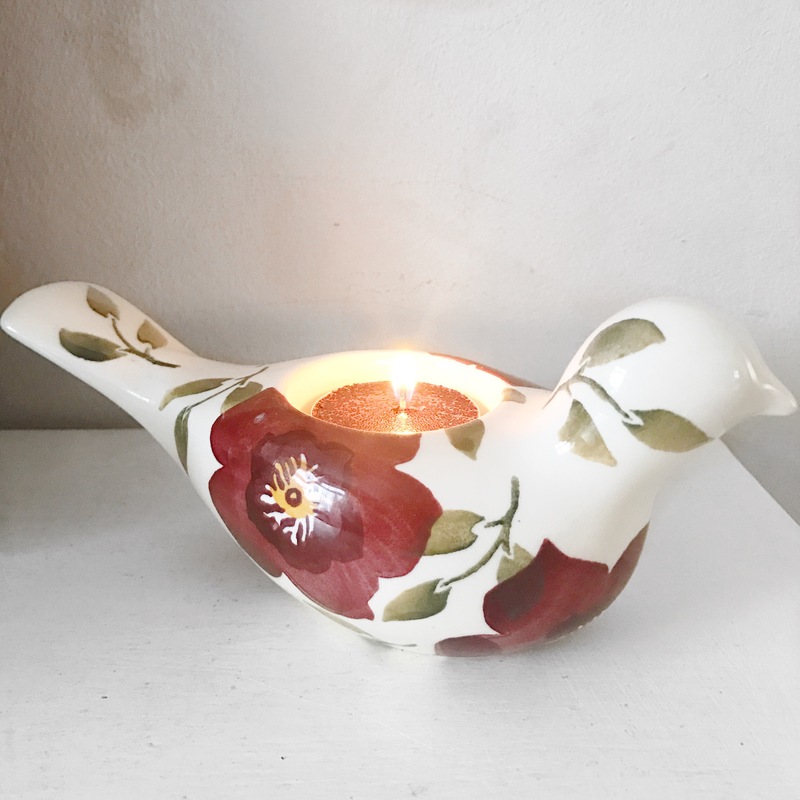 I know in the book it states that plain candles are preferred as scented candles are seen as less authentic, however I’ve put together a compilation of my favourite scents for this time of year. Please note majority of these were not purchased by myself, I did receive quite a lot of these as gifts from friends and family over the festive period, I would also like to add that I have only just started burning majority of these candles as a result of my ‘Project use it up series’ I had to burn through a few candles before I could even begin with these ones! I hope you enjoy. This candle reminds me of a festive Austrian food market. The scent of cinnamon, and strudel and various pastries is very strong. I would recommend this for anyone who loves sweet baking scents and loves the smell of a cozy warm working kitchen. This was also a Christmas gift, I absolutely adore it. 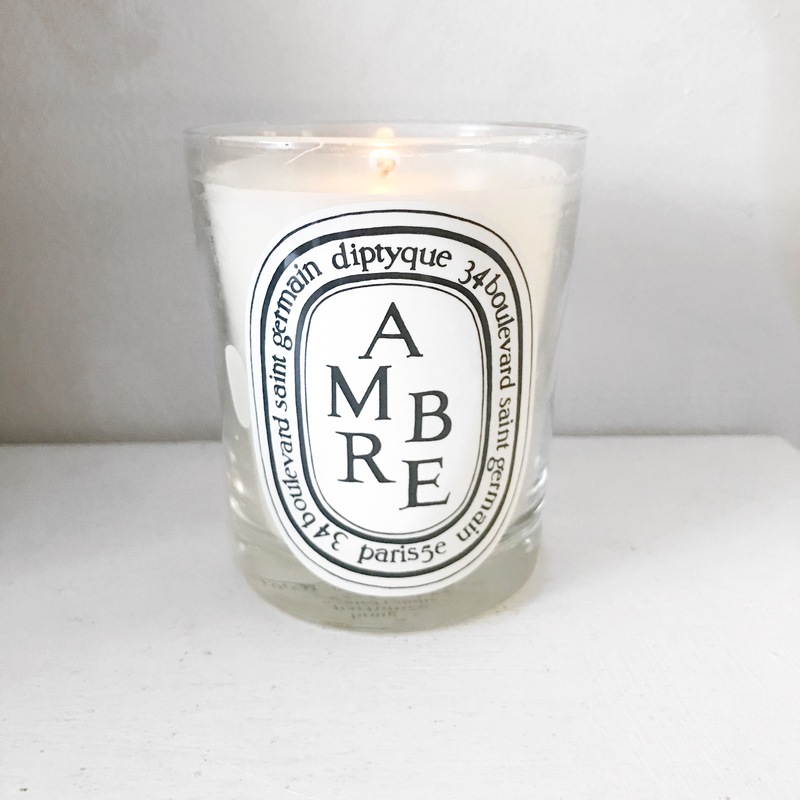 Last February I went to Paris with my partner, whilst I was there I made sure to visit the Diptyque store on St Germain and purchased this exact candle, I was beyond grateful to receive another one as they are not something I would buy everyday but more as a very indulgent treat. This candle reminds me of my mother church I attended when I was younger before moving to a different part of London. I find the scent incredibly sentimental and it brings back a lot of memories of burning candles and incense. The warmth this candle gives off through its oriental and woody notes are simply divine, I highly recommend it. 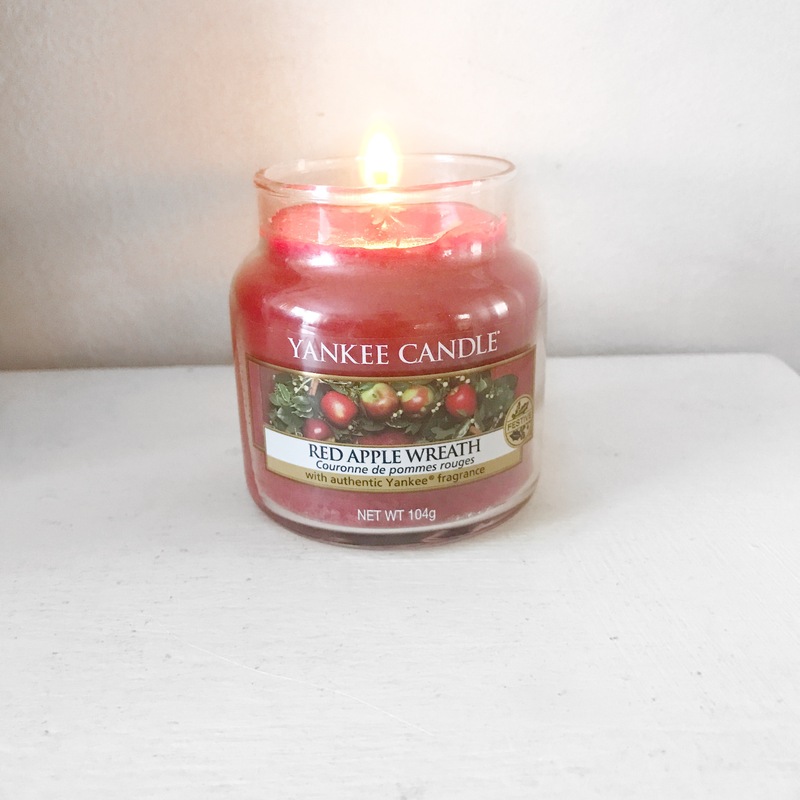 When I smell this candle I picture a cool, crisp, Autumn day in an apple picking orchard. I get taken to a place whereby ripe apples are sitting waiting to be chosen to be made into apple cider, brown wicker baskets are piled high on slightly damp grass adorned with autumn leaves all around. For those who don’t like sweet or spice led candles, this is a great alternative. The smell of apples is refreshing and inoffensive which I believe would appeal to all. This would be a great candle or anytime of year to be perfectly honest, it would also make a nice scent to a Harvest or thanksgiving dinner. M&S ‘Mandarin, Cinnamon and Clove’ glitter tea light candles. Although for majority of people Christmas is over, I don’t see why it should signify the end of typical ‘Christmas’ scents. The winter nights are long and dark, so why shouldn’t we continue to use clove and orange scented products? After all, citrus is meant to uplift. This pack of tea light candles were given to me as a gift, I’m pretty sure you could find similar alternatives. There is a strong scent of clementines, cloves, all spice and star anise. Smell aside, I love that each of these little candles has a glittery layer, who doesn’t love a bit of sparkle? This candle takes me straight back to my childhood. It brings back memories of eating strawberry laces with my Nan once the school day had finished. Similar to the ‘Apple wreath’ candle, this scent isn’t necessarily once purely for Autumn / Winter, it could be enjoyed all year round. 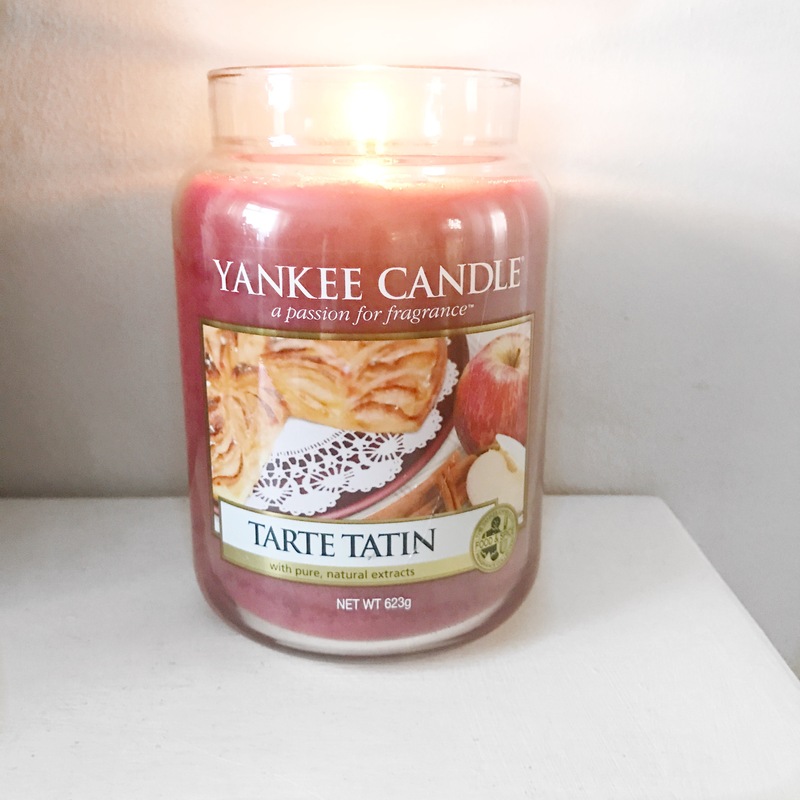 I think this candle is produced with the thought of thanks giving in mind, yet to be perfectly honest, you can hardly smell any trace of pear nor cranberry. 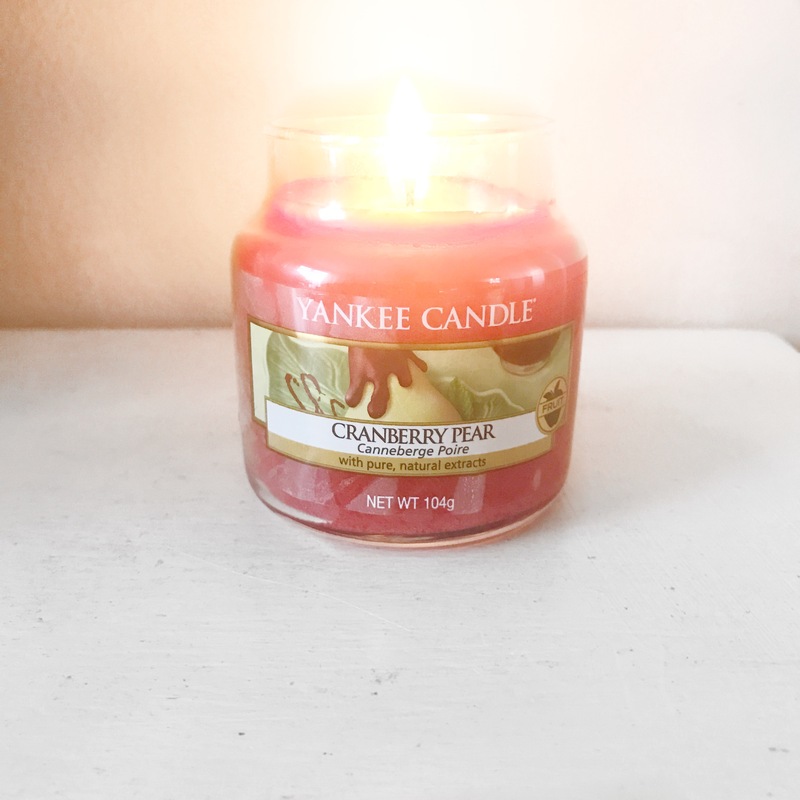 To me, it smells like a fruity berry cocktail, which is quite strange given the emphasis on cranberries and pears. Nonetheless, this is a beautiful candle, it makes me feel quite nostalgic. What are your favourite scents and candles for this time of year? Comment below, I’d be interested to know.